Can you get a pimple on your lip? The answer is yes. Pimples can occur anywhere in the body, although it usually appears where there is the dense growth of sebaceous follicles such as face, chest, neck, shoulders, and back. A pimple on the lip, also known as zit, carbuncle, boil, or bleb, is an inflamed spot on the skin with pus in the center. This condition is very annoying because it not only looks ugly but also makes you talk and eating painful. They are most common among teenagers, but older adults and younger children may also develop it. A pimple on the lip is often confused with a mouth blister or a cold sore. These reddish bumps look similar and make you feel uncomfortable. So, how to tell it is a cold sore or a pimple? Although similar, these are distinct skin disorders and require different treatments. There are a lot of differences between their causes, symptoms, and treatments. What Else Can You Do to Prevent a Lip Pimple? 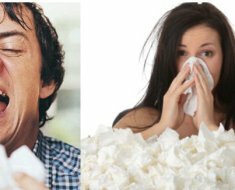 Here are the clear differences between them and what you should do to get rid of these conditions. If you are not sure whether you have a cold sore or a pimple on the lip, it is best to consult your dermatologist for proper diagnosis and correct treatment. Treating cold sore with remedies for pimples can slow down the skin’s healing process. The color of a cold sore is usually dark pink. Cold sores usually contain a few tiny blisters with clear fluid in it. And the liquids will seep out before the scab. A pimple is usually filled with in the center that eventually drains. A pimple usually has whiteheads and blackheads on it. A cold sore or mouth blisters usually appear on your lower lip or upper lip, and it usually shows up in one area each time. A pimple can occurs anywhere on your face, not just on your lips. Pimples are usually nodules or solid lumps beneath the surface of your skin. A pimple on the lip is usually larger than cold sores. You can easily differentiate the two by checking the formation of pus. A cold sore or mouth blisters are caused by the herpes virus. A pimple is caused by bacteria, dead skin cells, excess oil that block the skin pores. A pimple is a raised red bump, while a cold sore can grow bigger. A cold sore may cause an itchy, tingling or burning sensation. Pimples are usually tender and painful to touch. Cold sores can be transmitted through physical contact. Pimples are usually not contagious. Lip pimple occurs when the hair follicles become clogged with dead skin cells and oil. 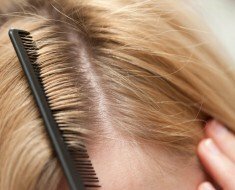 Hair follicles and oil glands can secrete sebum to keep the skin and hair lubricated. When the body produces a lot of sebum, it can make a soft plug in the hair follicles together with dead skin cells. This blockage allows bacteria to thrive. Inflammation occurs when the clogged pore becomes infected and may cause the follicle wall to swell, producing a whitehead. The common causes of a pimple are bacteria, clogged pores, dead skin cells, excessive oil production, allergic reaction and hormonal imbalance. The main causes of a pimple on the lip are excess sebum. If your hormones change quickly, the sebum production process will be disturbed. This can easily lead to clogged pores and an infection on your skin. This is why many women tend to get a pimple on their lip. Some foods such as whole-grain foods, coconut oil, and green leafy vegetables can help you balance your hormones. Some cosmetics, foods, and medicines can irritate your skin and lead to an allergic reaction. You may notice inflammation, blisters, hives, itching, and redness around your lips or face. Some people with skin disease such as rosacea are more prone to experience an allergic reaction. You should try to avoid contact with these allergens. In addition, taking vitamin C can enhance your immunity and reduce allergic reactions. Stress can affect your immune system and lead to pimples on your lip. According to a study published by Stanford University, stress can cause hormone levels to fluctuate, leading to acne on the skin. You should try to avoid stress. Running, swimming, yoga and listening to music are all good methods to help you relax. Some bad habits may also cause pimples on lips. If you have a poor diet, the body may lack enough vitamins and minerals. You are more prone to acne if you often eat greasy, salty and spicy foods. You should try to consume some foods rich in fatty acids, zinc, vitamin, and antioxidants. In addition, the low-quality makeup can also lead to unsightly lip bumps. Try to avoid sleep before removing the makeup. There are some anti-acne products that you can use to get rid of pimples on your face but if you want to specifically target a pimple on your lip, here are top 10 home remedies that you can do to get rid of a pimple on lip naturally. 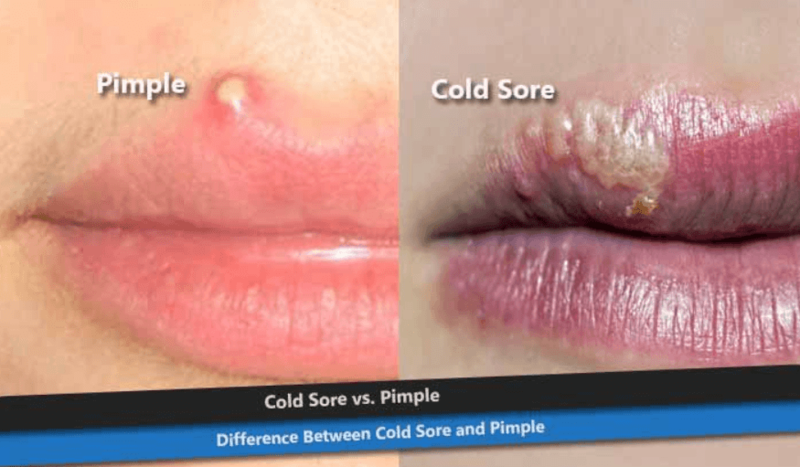 How cold compresses can help get rid of pimple? This can provide instant temporary relief to pain and swelling. Ice can cool the skin and slow down blood flow. Also, ice or cold water can numb nerve endings that can make the injury more bearable. In addition, cold compresses can help shrinks pores that will decrease the likelihood of irritants getting in. 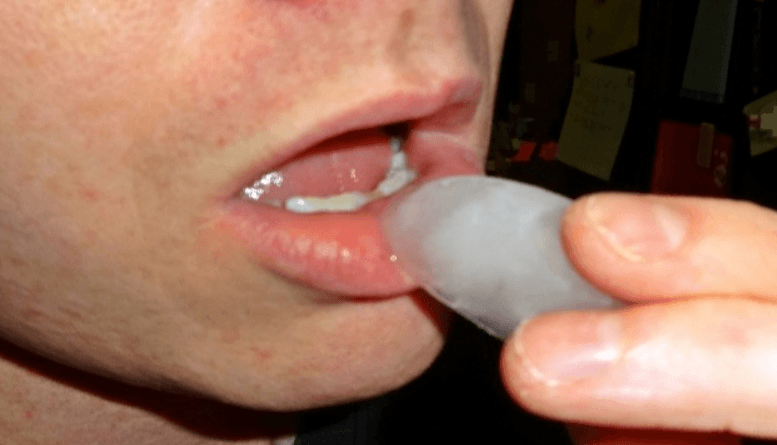 How to use ice to get rid of a pimple on lip? It’s not advised to place ice directly on your skin. Because ice may stick to your skin and lead to a cold burn, which can worsen the acne. You could cover the ice with a cloth or towel to make a cold compress. Make sure not to leave a compress for more than 5 minutes, especially for those who have sensitive skin. You can also add some essential oils such as tea tree oil, lavender, peppermint, rose water rosemary or lemon for the desired effect. These essential oils will help reduce inflammation and relax your senses. If your acne is mild, you just need to splash cool water on your face instead of ice. You can do this for a few minutes every morning and evening. This can help shrink pores and wash away debris. Remember to pat your skin dry at the end. In addition to cold compress, hot compress can also help remove lip pimple. The heat can help soften your lip pimple which will make it easier for you to remove. This is ideal if your lip pimple is extremely hard. You just need dip a towel in hot water and get rid of the excess heat. Place on the affected pimple. Tea tree oil is an effective solution for getting rid of a pimple on lip without the need of popping. It has antibacterial properties that can help reduce inflammation and swelling. Moreover, it can help speed up the healing process of pimples and breakouts. However, if you use the oil in the wrong way, it may do more harm than good. 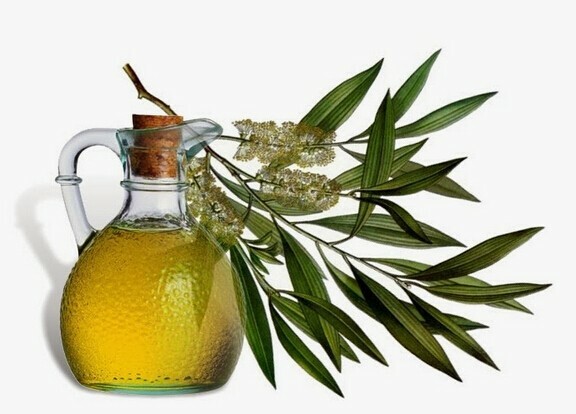 Tea tree oil is so strong that it can irritate your skin and dry it out. In addition, it may make your skin more susceptible to UV rays in the sun. To use tea tree oil, you need to put 5-8 drops of pure tea tree oil on cotton swab. Apply it to the lip pimple and gently rub it around your lips. This may make your skin feel a little irritating, but it will gradually disappear after a while. Repeat this process 2-3 times a day to get the best results. However, if you have sensitive skin or it make your skin burn, stop using it. Thyme essential oil– This essential oil is good for mild to moderate acne. Studies have shown that the thyme oil can kill most of Propionibacterium which is an acne-causing bacteria in five minutes. In addition, the thyme essential oil smells good. Bergamot essential oil– This oil is coming from the rind of citrus fruits. It has antibacterial and antiviral properties that can help cure mild to moderate acne effectively. In addition, this oil can help relieve anxiety or depression. Many people believe that lemon juice is a miracle cure for pimples on lip. Lemon juice has mildly astringent qualities that can help constrict the body tissues and remove the excess oil on your skin. The citric acid in the lemon can acts as an antiseptic as it can make the environment unsuitable for bacterial survival. In addition, lemon juice can help reduces the redness and speed up the healing process of scar caused by acne. Although lemon juice has so many benefits, it also has some side effects. The juice may lead to dry skin, flakey skin, pain or sting feeling. To use this treatment, you need to wash your lip with lukewarm water and dry for 5-10 minutes. Then squeeze out the fresh lemon juice from a fresh lemon into a bowl. Dip a cotton swab into the juice and dab it to your lip pimple. You may feel a small stinging or itching sensation. This is normal but if the feeling is unbearable, you need to add some water to dilute the acidity. Leave it on about 20 minutes to let your skin absorb the acid. Then rinse your lip with lukewarm water. For best results, you can do this about 2 – 3 times a day until the lemon juice gets removed. 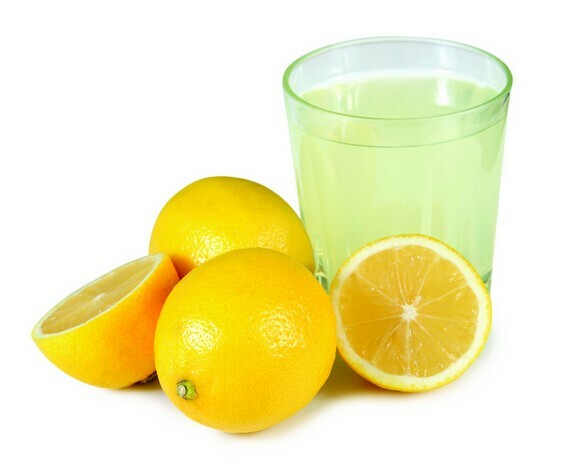 Note that lemon juice can help cure mild acne, it cannot be helpful for moderate to severe acne. What is Benzoyl Peroxide? This is a non-prescription drug that can unclog the pores and remove the P. acnes (bacteria), sebum and dead skin cells. It can effectively kill bacteria rather than slow down their growth. It is also an effective exfoliant that can penetrate your clogged pores and kill the bacteria inside. This works very quickly, you may notice significant improvement as soon as five days after you use this treatment. 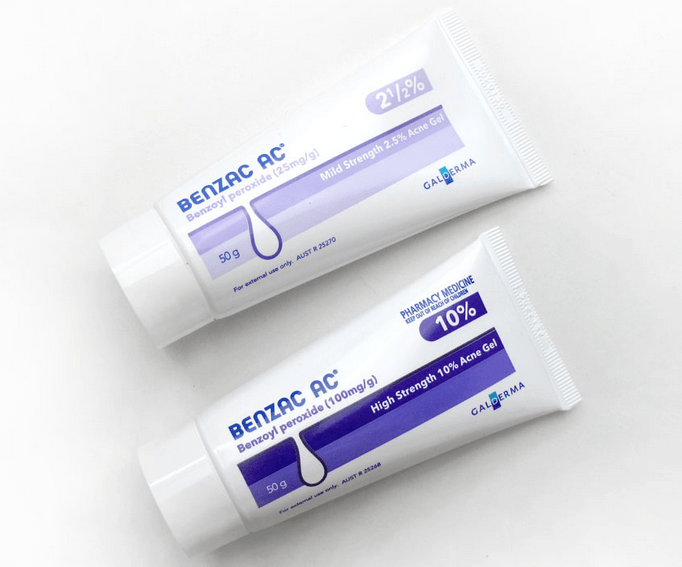 In addition, benzoyl peroxide can help prevent antibiotic resistance. There are 2.5%, 5%, and 10% concentrations that are suitable for different degrees of acne. You can use Benzoyl Peroxide to get rid of moderate to severe acne such as whiteheads, blackheads and large pimples. However, there are also some side effects of this treatment. In some cases, Benzoyl Peroxide may cause dryness, redness, peeling and hyperpigmentation. If you have these symptoms, stop using this method immediately. There are a variety of forms of Benzoyl Peroxide product including lotions, creams, washes, and gels. I recommend using gels as it is easy to use. To use the gels, you should wash the affected area first and place a small amount of the gel on the affected area. Follow the directions placed on the tube about how long you are going to leave the gel in the area. Do remember that not everyone can use this gel. If you believe that you have sensitive skin, it may not work for you. Always follow the instructions on the tube as well as the recommendations of your doctor just to be sure. 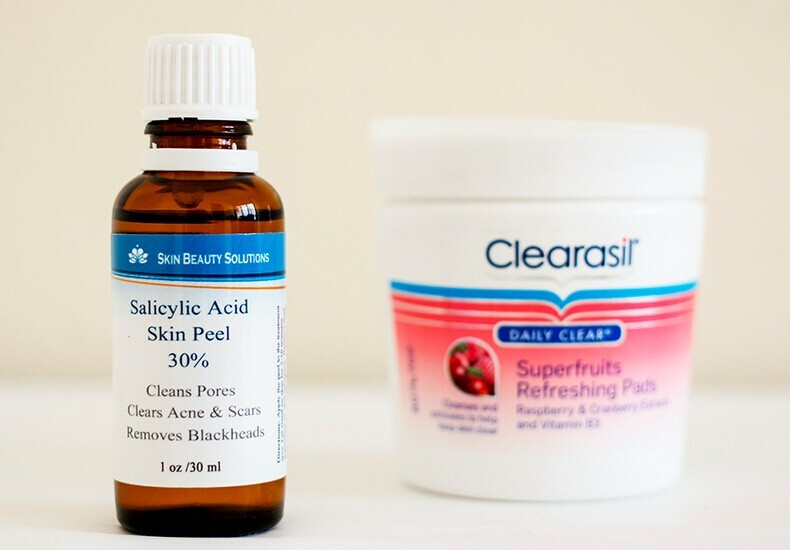 What Is Salicylic Acid? This is a type of acid that can help exfoliate the skin and remove dead skin cells in the pores. It also has a soothing, calming effect on skin that helps fight against a lip pimple. Moreover, it has anti-inflammatory properties that help remove redness and reduces pore size. Salicylic Acid is for people with milder acne as it does not kill bacteria. It may take up to four weeks to see results. 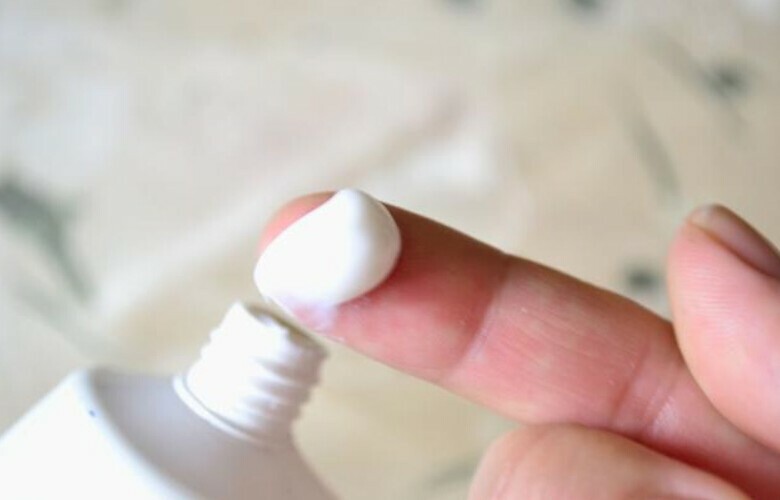 Try to avoid too much salicylic acid as it can cause side effects such as redness and inflamed. But this won’t hurt your skin, you don’t need to worry. The method used is similar to the use of Benzoyl Peroxide. There are also many Salicylic Acid Products on the market. You should choose the product to contain hydration, antioxidants, and anti-inflammatories that can help improve the health of your skin. Lime juice can act as a natural antibacterial and exfoliating agent. You can use the juice to wash your lip pimple every day. This can help you get rid of the acne in 2 to 3 weeks with daily topical use. According to OrganicFacts.com, Lime juice contains the vitamin C and flavenoids that can help clear pores and brighten your skin. Moreover, these antibiotic, antioxidant and disinfectant agents can also help remove dead cells and promote new skin growth. How to use Lime Juice to remove your lip acne? First, squeeze the raw juice from a fresh lime into a small bowl. Then clean your lip thoroughly and apply the juice to your lip acne with a cotton ball. Leave it on for about 15 to 20 minutes and rinse off with cold water. You can also mix 1 tbsp of lime juice, 1/2 tbsp of carrot oil and 1 tbsp of jojoba oil to make a mixture. Then apply the mixture onto your lips and massage gently. This mixture can effectively increase the effect of lime juice. In addition, you can also drink lime or lemon juice to detoxify your body. This juice can provide vitamin C and collagen to your skin. 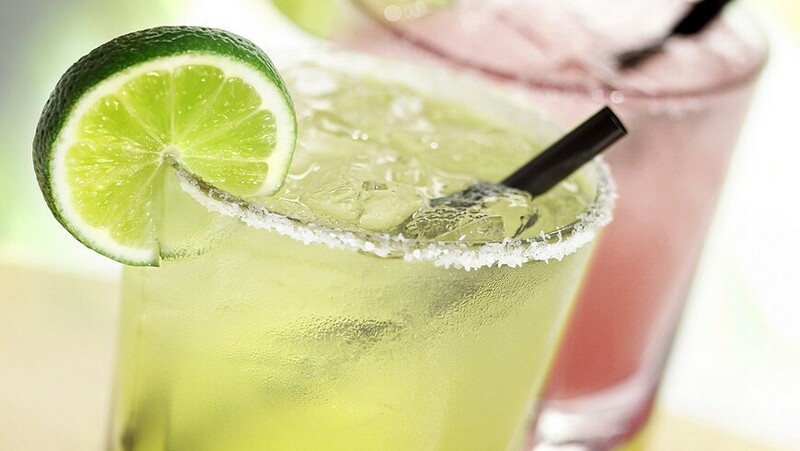 You can have a cup of lime or lemon juice in the morning before breakfast. This will help brighten your skin after 1 to 2 weeks. 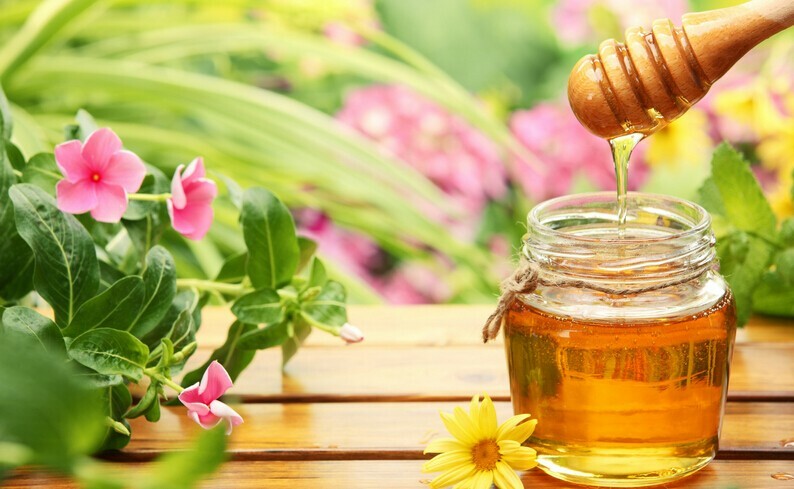 Honey has been used for thousands of years to help heal wounds and many skin problems including a lip pimple. It is an effective antiseptic as it has acidic and high sugar concentration properties that can help prevent the growth of bacteria on your skin. Moreover, it has anti-inflammatory qualities that can help remove the swelling and redness. In addition, it is a natural humectant that can moisture your skin and prevent dryness. You can apply the honey on the developed pimple or a whitehead, this can help reduce the infection in your skin pores. How to use honey for pimple on lip? You’d better choose raw honey to make this very effective. Just apply raw honey to a pimple and do not wipe or remove. You can do this 2 – 3 times every day to get the best results. It was mentioned earlier that people might develop lip pimples when they use toothpaste that is high in fluoride, but toothpaste can also be one of the solutions so that lip pimples can be removed efficiently. To lessen the possibility of fluoride, choose a non-gel toothpaste. Toothpaste contains baking soda and hydrogen peroxide that can help improve the condition of a pimple. It can make a pimple dry out faster. How to use toothpaste for pimple? Make sure clean your face first before applying toothpaste.Then place the toothpaste on the pimple and leave it on for about 10 – 15 minutes. At last wipe off with a wet towel or cool water.You can do this twice every day to get the best results. Our ancestors have used turmeric for a long period. From the beginning, people know how much it can help as a home remedy. This time, it can also work on your lip pimple. It contains healing properties that can help heal your pimple faster than before. The antimicrobial properties of turmeric can also help get rid of the bacteria that caused a pimple. The best thing about using turmeric paste is that you will not see any scar after. How to use turmeric to remove your pimple? 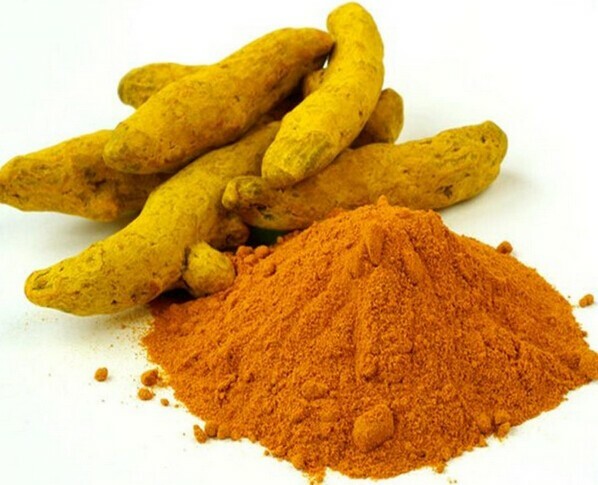 Mix the turmeric powder and clean water to make a mixture.Then apply the paste on the pimple.Leave it on for 20-30 minutes and wash off with cold water.Repeat this process 1-2 a day. Consume Vitamin such as A,C,E is an effectively remedy to clear a pimple on your lip. Vitamin A can help clear the oil and bacteria that accumulate in the pores and strengthens the ability of cells to regenerate. This will help your skin fight against the toxic element to prevent a pimple on lip line. You can obtain vitamin A from a lot of vegetables and fruits such as carrots, sweet potatoes, fish, lettuce, winter squashes, cantaloupe, bell peppers and dark leafy greens. Vitamin C can help strengthen your body’s resistance. Consuming vitamin C daily can effectively reduce melanin and avoid dark spots and freckles. Foods rich in vitamin C include cauliflower, green peppers, oranges, grape juice, and tomatoes. Experts recommend that each person need to consume 200 ~ 300 mg of vitamin C per day, and drinking half a cup of orange juice daily can meet this requirement. Vitamin E has a strong antioxidant effect that can help prevent the oxidation of fatty compounds, selenium, and sulfur amino acids. At the same time, it can nourish and hydrates the lips to remove a pimple around or on the lip. Vitamin E solution can be applied directly to dry skin such as the lips. In addition, vitamin E can also accelerate the scar repair process and remove acne from the skin. You can obtain vitamin E from Sunflower Seeds, Spinach, Vegetable Oils, Peanuts, Avocado, Almonds, Shrimp, Hazelnuts, Asparagus and Broccoli. Drink plenty of water – Water can help eliminate toxins in your body and make your skin healthy. Good hygiene – Always wash your mouth and lips thoroughly after eating. Food debris around the mouth can breed bacteria, causing outbreaks of acne. Make sure to dry the mouth after washing to avoid attracting dust in the air. Eat more foods rich in omega-3 fatty acids such as salmon, citric fruits, and fish supplements. These foods have anti-inflammatory and anti-oxidant effects that can help reduce the side effect of nerve inflammation. Try to avoid squeezing the pimples especially when your hands are dirty. The bacteria from a pimple will also spread. This can increase the number of pimples that you have in the lip area. Choose the right makeup that you are going to apply on your lips. Make sure that you will effectively remove the dead cells from your lips especially before going to sleep at night. There are some homemade lip exfoliators you can use sugar or salt scrub. Remember to exfoliate gently. You may have to avoid stress to prevent having pimples. If a lip pimple lasts for a long time, you should see your doctor as soon as possible. Should you pop these ugly zits? Popping is the fastest way to remove a pimple on your lip. However, this is not the safest method. Squeezing a pus-filled pimple on your lip may lead to the infection of the skin, especially when a pimple is very large. This may make your lips red and swollen. So, you’d better try to avoid popping your lip pimples. But if you still want to pop the pimples, here are some useful guidelines from a dermatologist. Prepare hot water, towels, alcohol swabs, needles and pain reliever ointments. Wash your hands and soak the towels in hot water for a few minutes. Apply the warm towel to the swollen part of the lips for 5-10 minutes. Clean a lip pimple with an alcohol swab. Disinfect the needle with a flame, then clean the needle with an alcohol swab. Gently pierce the pimple head with the needle and gently squeeze the sides to push the pus out completely. Wipe the area with a clean alcohol swab. Apply some anti-inflammatory and analgesic creams to prevent infection. You can also take some antibiotic drugs to get rid of the swelling.